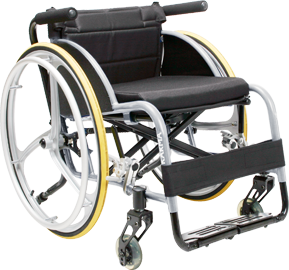 Anglia Healthcare & Mobility products are of the highest quality, sourced from leading worldwide manufacturers. Friday - Saturday: 10.00am - 4.00pm. Orders can be placed online through the website or by telephone. When placing an order for products it is important to have all the correct information. Whilst we stock a large range of products and growing on our website, it is impractical for us to hold all items in stock at our showrooms and warehouse, and as such we may need to order the relevant item in for you. If you have seen an item on our site and you order through our showrooms, please bear in mind we will have to order this in as a specialist item, and you will be required to pay for the item in advance. All orders are processed by our Sales Team who are fully compliant with both Data Protection and Computer Misuse Acts. If any item you have chosen is unavailable, we aim to contact you via your e-mail address or phone within 5 working days. All orders are subject to availability. Payments We accept Visa and MasterCard. We do not take orders from outside the UK or in any currency other than pounds sterling. Please note that no products will be dispatched until paid for in full (including any postage). If you meet the criteria and filled he VAT exemption form, VAT will not be added unless a particular product has compulsory VAT. Orders which are received without VAT exemption form will incur the VAT charge, which will be highlighted clearly to you through our shopping calculator. Should you have any queries please contact our Sales Team on 0800 042 42 45 and a member of staff will gladly advise you. Under these circumstances, Anglia Healthcare reserves the right to demand that you pay the VAT amount that is due. The goods must be returned at your cost within 7 days of the date of your notification to us that you wish to return the goods. You should take out enough postal insurance to cover their value when returning goods. Anglia Healthcare & Mobility will not take any responsibility if the goods are damaged when you are returning back to us. Your refund will be paid within 30 days. Our Administration Charges for the return of goods are listed below. Alternatively Customers can return their orders themselves at our premises, in all instances a Returns form & Reference will need to accompany the goods. Failure to do so will result in your returned goods not being traceable. Where goods are made to order or ordered specifically for example Stairlifts, home lifts, Power chairs, lift and reclining chairs/beds, and products which for Health & Safety and hygiene reasons cannot be returned for example all Upholstered items, Incontinence products, Toilet seats, Frames,Wheelchair cushions, Commodes, Bed protectors, Bath lifts, Mattresses, or anything else that comes into bodily skin contact will not be refunded due to Health and Hygiene And anti MRSA / Virus. All goods specially ordered or made to order can not be returned or cancelled and must be paid in full. All products must be returned complete, unused, in an undamaged state and in their original packing. If products are not returned in their original condition on return, Anglia Healthcare & Mobility reserves the right to charge for repair or replacement of any product(s). This charge may include the cost of parts, materials, labour and any subsequent loss to Anglia Healthcare & Mobility. Where goods need to be dismantled to enable return, providing you notify us by phone or in writing within 7 days of delivery and agree to pay our costs (this will be confirmed beforehand), we will send our technician to your premises to collect the goods at a convenient time. This will be at a cost of £80.00 and will be within 14 days of receipt of confirmation of your cancellation. 20% restocking charge will apply to all orders cancelled or returned. All the items in our online shop have a manufacturer's warranty which is passed directly to the customer. We have no control over the terms of the warranty. If your product is faulty on delivery we will refund the purchase, subject to our returns policy. Are there any conditions or limitations on the warranty? Our warranties provide coverage only if you maintain or use the product as directed. For example, our warranty cover only personal uses, as opposed to business uses, of the product. If there are multiple users of the product then we would not cover any product faults. Your manufacturer's warranty and Anglia Healthcare & Mobility guarantee is invalidated if you have made modification to the product, misuse of the product or if the product is vandalised. Product colour and shade may vary from one manufacturing batch to another. Fabric patterns are not matched unless stated on labelling. Leather is a natural material with unique characteristics such as shade variation, random scars and blemishes. We reserve the right to make any changes to product specifications and any other changes where necessary. The price of the Goods is exclusive of VAT. The prices shown are only applicable to purchases made via the Website. On occasions, the prices payable and promotions offered online may differ from those prices and promotions offered at the same time in Anglia Healthcare & Mobility stores. We are under no obligation to honour any in-store price or promotion that differs from those online. Similarly, Anglia Healthcare & Mobility stores are under no obligation to honour any online price or promotion that differs from the in-store price. Special Offers and promotions advertised in the press or other media may be excluded from the site unless specifically advertised as available online. All offers are subject to availability and while stocks last. Offers cannot be used in conjunction with one another. Where more than one offer is available on the same product only one discount will apply. The offer giving the greatest saving will be applied in the basket. We set highly competitive prices for all our products, with our team regularly checking them against other competitors. If you find another competitor offering a better price for the same individual product sold with the same service conditions, please let us know we will endeavor to price match. GDPR is a European privacy law that replaces the 1995 Data Protection Directive. It marks the biggest change in data protection in 20 years. From the 25th May 2018, all UK and EU businesses will have to handle your data in compliance with GDPR. More specifically, it is Regulation (EU) 2016/619 of the European Parliament and of the Council of 27th April 2016 on the protection of natural persons with regard to the processing of personal data and on the free movement of such data, and repealing Directive 95/46/EC. With the explosion of the internet, more and more data is being created and stored all over the world. GDPR has been introduced to try and keep up with the phenomenal growth in data and is designed to make use of your personal data more transparent and put you in control. Fundamentally, everyone has a right to know how their personal data is used and the right to erase it. Anglia Healthcare & Mobility has always taken personal data seriously and has never sold it to third parties. This means we're really happy to see this change in the law and we will be compliant with it. Anglia Healthcare & Mobility Confirm that We do not share your information with any third party or use for any marketing activities.